I first started teaching in 2001, and have taught all three sciences to a range of abilities and age groups from 11-19 years (specialising in biology post-16). I've been privileged to work with some outstanding teachers throughout my career; I have worked as a lead educator at the National Space Academy since 2008 and was awarded the status of National Expert Science Teacher in 2015. I developed this teaching technique in response to various "dry" topics that often come up in different specifications - these are the topics that leave you scratching your head as to how you can cover a lot of complex information in a short period of time. I've used this technique successfully across several topics such as the carbon cycle, the immune system, the rock cycle, homeostasis, pest control, the menstrual cycle, eutrophication, prokaryotic cell structure and many more. I found the solution was to get students drawing diagrams in order to illustrate complex topics and concepts. There is something about the process of converting written information to images (and vice versa) that helps students to engage with the information and develop their understanding. 2. Draw a diagram onto a sheet of A3 paper that illustrates each of the bullet points. You don't need to be an artist to do this; a functional diagram, cartoon or illustration will do the job effectively and students will often find it amusing to see your attempts to draw certain images! Alternatively you could find an image online and use this instead, although you may need to edit in order to remove some labels that provide too much information. Diagrams can include more challenging images as required for differentiation purposes. 3. 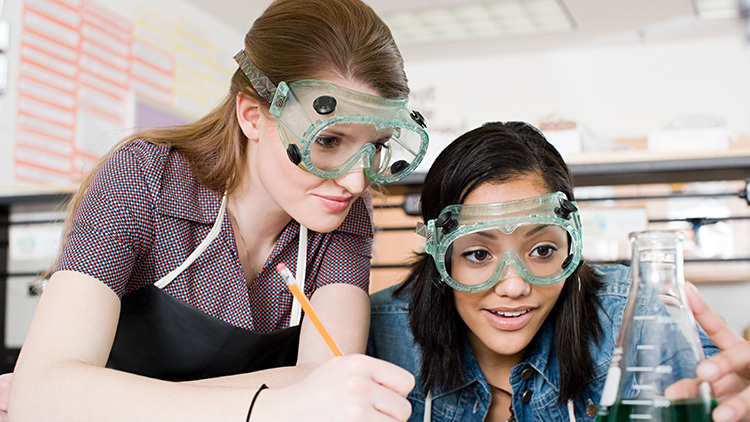 Divide the class into two halves and get students to work in pairs. One half of the class receives the printed information bullet points and are required to draw a diagram on A3 paper to illustrate. The other half of the class receive the diagram and are required to write bullet points that provide a commentary as to what the diagram is showing. 4. After both groups have finished, pair up each half of the class. Students that drew the diagram have to discuss what each image shows while the students that wrote the commentary read out each point. Both students check that their diagrams and commentary match - if not, then they can refer to the resources that were given out at the start of the task. 5. After you've allowed a period of time for students to correct or enhance their work, the lesson can be concluded with a verbal discussion and summary of each key point. In summary, this technique requires minimal preparation from the teacher but provides maximum engagement and learning from students. It's also a versatile method that can lend itself to the teaching of a wide variety of different topics; I hope you find it useful! Written instructions for students to draw and recreate a diagram of a typical prokaryotic cell. Find more resources in my shop.